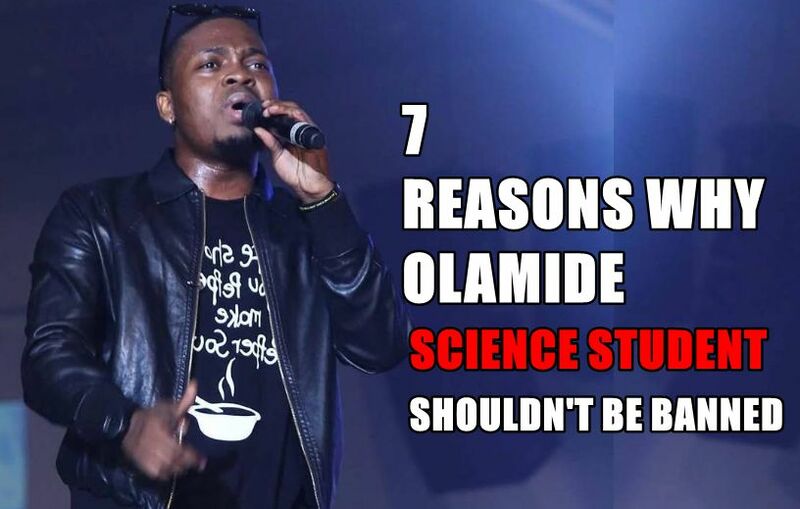 Olamide is currently facing a whole lot of backlashes from some Nigerians who want his latest song “Science Student” banned because they feel it’s of Negative impacts to the Society. Baddo has cleared the Air in different Publications stating that the song was not released to encourage young Nigerians to get themselves involved in Drug abuse of any form. Just yesterday, a Nigerian website posted a question asking if “Olamide Will Ever be Arrested?” over his constant release of contents that are not safe for the Public Consumption. Also, former Edo State Governorship Aspirant “Obaseki” called on Nigerian Government to bad Science Student with immediate effect. 1. Before Olamide was born, our children, uncles and aunties have been smoking and drinking different chemicals. 2. Science Student is already a monster hit even though it gets banned. 3. For parents who don’t know what their kids are doing in school, the song Science Student has opened their eyes. 4. 95% of the people calling for the ban put Nigeria in this mess. Apart from drinking and smoking too, they share the national treasure among themselves daily. 5. Olamide is a hustler and he should be appreciated for using his talent to get a good life for himself and loved ones. .
6. The street loves the song. .
7. Olamide is one of the reasons we are still smiling in Nigeria despite the massive killings and troubles.